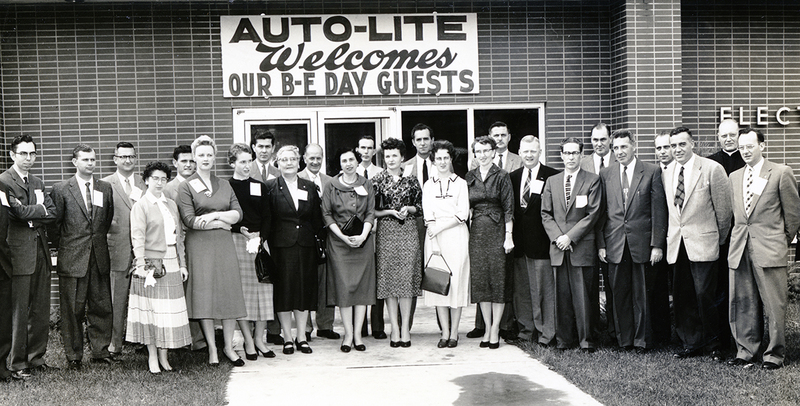 An undated photo of Auto-lite staff outside the Point Edward factory. Photo courtesy: Lambton County Archives, 6C-Autolite. My father-in-law, Cal Chivers, was a quiet man who liked to read Zane Grey western novels in his spare time. A wounded veteran of the Second World War, he spent his working life at the Electric Auto-Lite Company. 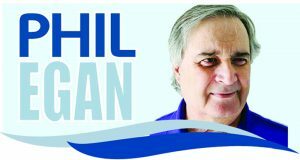 The plant was important to Cal; but I doubt he knew just how much it once meant to the people of Sarnia. The commercial and industrial elite packed City Hall to capacity for the announcement on Friday, Sept. 27, 1929. And, fortunately, they came with money in their pockets. The public was informed then the Electric Auto-Lite Company of Toledo, Ohio was willing to build a local factory. Its only condition: a guarantee of $43,500 to meet competing offers from other Ontario cities. Enthusiastic businessmen in the crowd pledged $33,000 in 15 minutes, with individual amounts ranging from $100 to $2,000. The building site was immediately north of Holmes Foundry in Point Edward and called for more than 50,000 square feet of factory floor built on 15 acres of land, much of it donated by L.G. Blunt, president of Holmes Foundry. Making starting and lighting equipment for Ford, Durant, Willys-Overland and other cars made in Canada, Electric Auto-Lite was expected to be a springboard for other manufacturing plants in the growing parts industry. Eric Harris, manager of the Chamber of Commerce, said Electric Auto-Lite was “the biggest thing that has come Sarnia’s way since Imperial Oil.” Sarnia and its industrial development was the talk of the province. 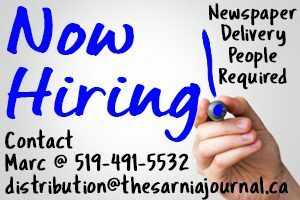 The stock market crash that triggered the Great Depression was only weeks away, but as Mayor J. F. Newton prepared to turn the sod for the new factory, Sarnia’s employment future looked buoyant. Electric Auto-Lite would be operational by the first of the New Year. An expansion underway at Imperial Oil promised jobs to an extra 800 men, bringing Imperial’s overall staffing to 2,300 – the largest in the plant’s history. And downtown, plans were being finalized for a new, 88-room highrise hotel. Sarnia and Port Huron were even beginning to dream about a new international bridge. The great news of the coming of the Electric Auto-Lite ushered in a new era of confidence about the growing city on the St. Clair River.